Sometimes it’s a good idea to treat your body with a detox bath. Whilst the body is an exceptionally clever machine which is able to detox itself, it doesn’t hurt to give yourself a little helping hand. At its best, life is full of healthy food, clean fresh air and enjoying everything mother nature has to offer. 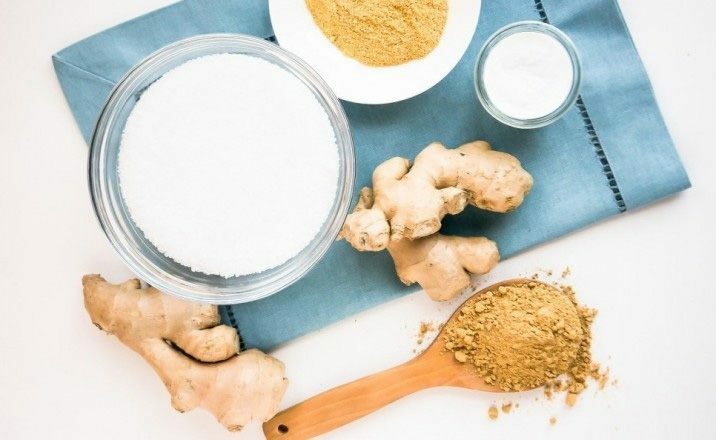 But in today’s modern world, where processed foods and chemical pollution are now the norm, it might be a good idea to treat yourself to a little detox bath once in a while. Whilst the body is an exceptionally clever machine which is able to detox itself, it doesn’t hurt to give yourself a little helping hand and basically get a fully relaxing spa treatment at the same time! Whether you’re suffering from a particularly nasty winter flu, or wanting to sweat out the overindulgences of the night before, we’ve got the perfect set of remedies to get you back on your feet! Adding essentials oils to your detox bath can take it from mediocre to simply amazing. By choosing specific oils you can combat any detox related systems you may be having. If you’re feeling nauseous then peppermint can be useful. If anxiety is your problem du jour, lavender essential oil can transport you to a world of peace and calm. Add 10 drops of the oil of your choice. Not only does baking soda detoxify and alkalis the body but it also does wonders for the actual bath water. As most water that comes through the plumping system is laden with chlorine, baking soda helps to neutralise this harmful chemical, thus making it easier for you to actually detox in your detox bath. A cup or two of himalayan salts in your bath is the one of the simplest, yet most effective way to draw out toxins from your body. As this bath can be a little harsh on the system make sure you take care not to over heat in the bath and don’t try and stand up too quickly when you’re getting out! If you can, choose finer grains as they dissolve quicker. Adding food grade hydrogen peroxide to your bath tub can be a great way to oxidise the body, thus killing harmful bacteria that cannot survive in oxygenated conditions. Add 1 cup to a full bath taking extreme care as this chemical can be harmful to the skin and eyes when undiluted. Bentonite clay is an excellent ingredient to consider for your detox bath as it draws out heavy metals which may have accumulated over time in the body which can contribute to your toxic load. Because the particles of the clay are negatively charged, they draw out positively charged nasties from deep within your system. Make sure you dissolve this ingredient in a class bowl with a wooden spoon before adding to your bath, if metal utensils are used the clay will cause particles to leech. 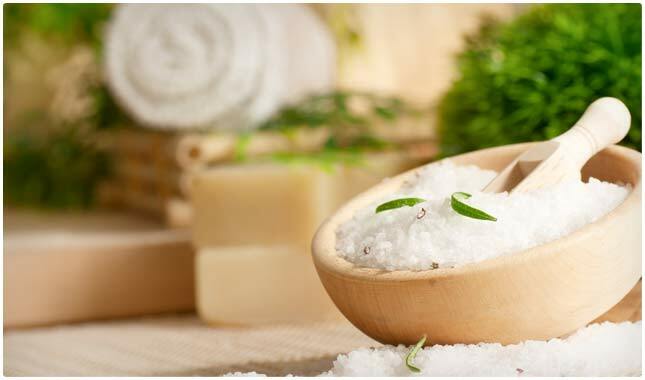 Probably the mother of detox baths, epsom salts help to draw out toxins from the deepest layer of the ski whilst simultaneously easing muscle cramps and pain. Add 2-3 cups to your weekly detox bath to get your whole body into a state of rest and relaxation. Before you start make sure you get a hard bristle skin bush and brush your entire body in circular motions towards your heart. Not only does this remove any dead skin, allowing the ingredients of your detox bath to get deep into your pores, but its also stimulates the lymphatic system which will help to drain any toxins stirred up by your bath. Create a nice relaxing environment in your bathroom, turn the heating up so its super cosy, light a few candles and get some entertainment ready for your soak! A good book or a session on Netflix can make your detox bath experience complete! Make sure you’re fully hydrated before you go in the bath because the detox will draw moisture from your body, and you’ll be sweating from the heat, so you need to make sure you don’t get dehydrated. The only downside to detox bath is that you might lose essential minerals through sweating so make sure you replenish with some electrolytes in a glass of water post bath. Run the bath to your pretty stranded bath temperature, but leave a little room as once you’re in you’ll be topping up with hot water in order to get to bath hot enough to induce a sweat. Its better to do it this way, rather than running a super hot bath straight away, as it gives your body time to adjust to the heat. It may be a good idea to have a glass of water beside the bath incase you feel like you’re over heating, or even a flannel which can be run under to cold tap to keep your temperature bearable. Although sweating isn’t the most pleasant thing in the world its very important to release toxins in this manner. Once you’re all done sweating its time to get out of the bath! A crucial step in this process is rinsing or towelling off the water as soon as you get out, otherwise you’ll simply undo all your hard work by reabsorbing the toxins back through your skin! Make sure you don’t get dressed straight away as you can continue to release toxins for up to 30 minutes after getting out. A light dressing gown warmed on the radiator is my favourite thing to come out of the bath to! Wie heeft er niet van de bekende TRIANGL bikini’s gehoord? TRIANGL heeft bijna 3 miljoen volgers op Instagram en bijna elke vrouw wil een TRIANGL bikini. Wil je een TRIANGL bikini kopen? Lees dit artikel. 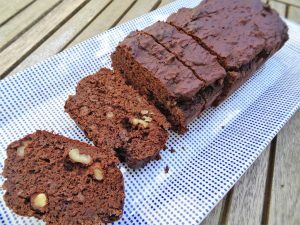 Een gezonde brownie gemaakt van zwarte bonen, bijna net zo lekker als de échte brownie!